The holes in perforated sheet are expertly punched using the mathematical formulas below. 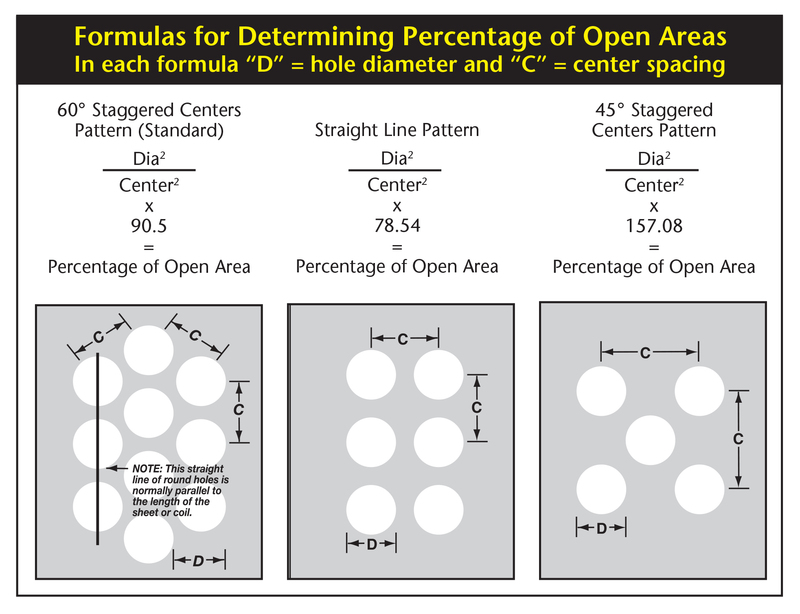 The open area percentage for round perforated metal can be calculated using the formulas below. Many additional perforations are available. Consult with your Direct Metals sales representative to configure the best perforation for your metal or plastic needs.